This is my first card I made using one of his images, but I picked up a few on black Friday yesterday where he is offering 30% off of all of his images over at Kenny K Downloads.This sale is actually going on through Monday, so if you have been wanted to try some of his images, now is the time. It is that time again. Another fun challenge at Suzy Bee's Bloomin Challenges. This week it is anything goes. So no excuses. Everyone can play along! It is Team A's week, but I wanted to play too. I have been making so many Christmas cards, it is a treat to create something different. So I went with Friendship! We think about friends a lot over the holiday season, so I made this special card in honor of all those "unlikely" friendships. We never know where our friends will come from, and typically the least obvious friendships become the strongest. Remember, there are no size restrictions, CD Printouts also are acceptable. Your entry does not even have to be a Card. 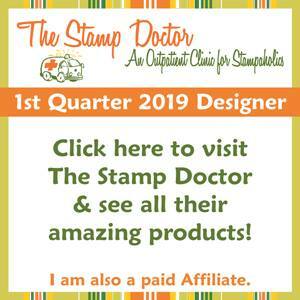 Our sponsor this week is Eureka Stamps. 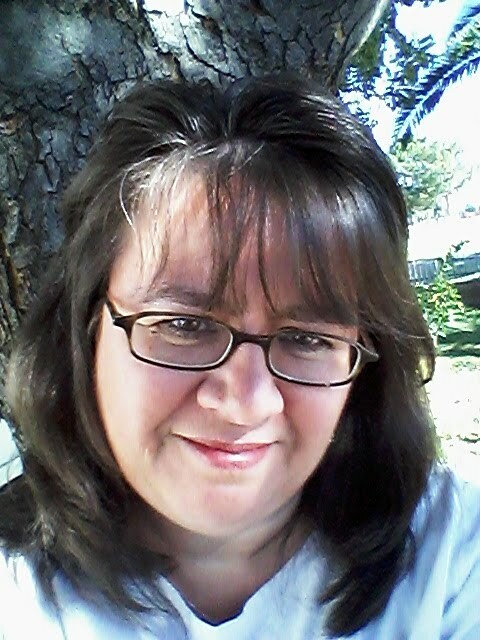 Pop on over if you have a chance and take a look at all of her wonderful products. Christmas Tree is a traditional digi image and is so versatile for all of your Christmas projects. It is a great way to start off the Christmas Season. It can be used for a variety of layouts this holiday season. Here is what I came up with. I went for an "old time" vintage look using distressing ink and distressed looking card stock. But the possibilities are endless. Now, how would you like the opportunity to win a copy of this new release? 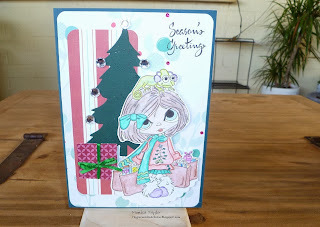 Creative Bug on the Loose is having a draw to win a copy of Christmas Tree. To find out what you need to do, make sure you head over to the blog and follow the directions that have been laid out. It's the day before Thanksgiving, and all through the house...Well in my house, there is a lot of stirring going on. The stuffing is getting made, we make it from scratch, Pies are being baked, again from scratch and last minute ingredient inspection to ensure we have everything we need for the big day. Now I know that many of the grocery stores are open on Thanksgiving day, but I just hate having to run to the store for something I forgot. There will be no card making for me today or tomorrow, too much to do. So I made sure that I completed this little cutey a few days ago. So I was feeling a little nostalgic this weekend and decided to make some Retro style Christmas cards. There are so many sites that offer free digital downloads, it didn't take me long to find an image I wanted to work with. The Graphic Fairy has some great free vintage digital images available for download. I found three black and white retro Christmas images from a 1940's printers book. They all had holiday shopping Christmas theme. I chose this one to work with. 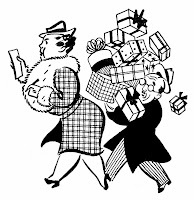 This poor husband is following his wife around carrying all the Christmas Gifts while she reviews her Christmas list. I decided to stick with the black and white theme and not color in the image. I used Heather's sketch that is currently being used for the Simon Says Challenge. Here is what I came up with: Very fun card and did not take long to put it together at all. I love making black and white cards. 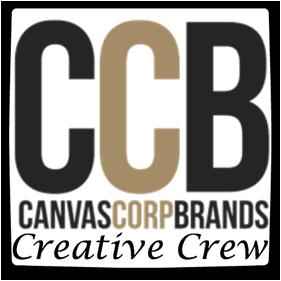 They are so classic, and work great for vintage or retro designs. Happy Saturday fellow Crafters. 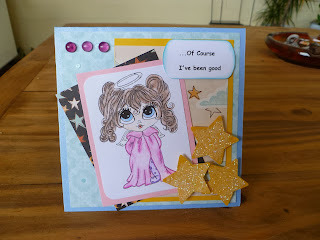 Today is the start of another challenge over at Suzy Bee's Bloomin Challenge. It is DT choice thise week and I have been selected to make the choice. So without further ado, the theme is...Buttons! Remember, there are no size restrictions, CD Printouts also are acceptable. Your entry does not even have to be a Card, as long as you use buttons. Our wonderful sponsor this week is Robyn's Fetish so be sure to pop over and check out all her digi's. To help you get your creativity flowing, I have created a card using the image "a little bird told me". Image was colored using my pencils from Artist Loft and Gamsol blending solution. I added my three buttons to the flowers and used paper and ribbon from my stash. "The early bird catches the worm" is the sentiment I stamped on the card. Well I hope I have inspired you to play along! T.G.I.F. Happy Friday everyone. We made it. I woke up to a rainy morning here is Phoenix, Arizona, but not gonna let it get me down. I have been working hard putting together Christmas Card kits, sets and making individual cards for my 1st annual Christmas Card Make and Take that my neighbor is hosting on December 1st. It should be a lot of fun! I did take a break and made something other than a Christmas Card. I got my inspiration from a photo inspiration challenge over at Ike's world. 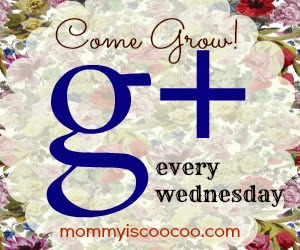 Ike was kind enough to leave me congratulatory greetings yesterday on my blog yesterday and invited me to check out hers. I popped over and what did I see? My favorite flowers...Sunflowers. Good morning all! I have some exciting news to announce. 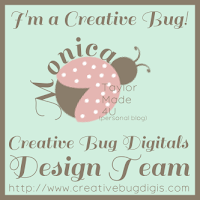 I have been chosen to be part of the design team for Creative Bug. I will be on the "New Release" Team, which will feature a new Digital Release every other Thursday. But wait, there is more, Every other Tuesday, a "Freebie is offered, and who doesn't like free digi's? 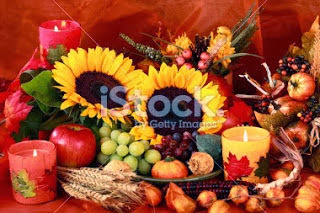 This will be a great way to start or add to your collection of these wonderful images. 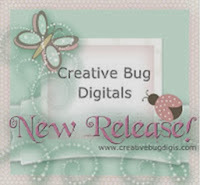 These images are created by Naomi Edwards and can be found over at Creative Bug on the loose. 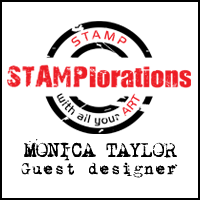 If you are not familiar with with these stamps, please stop by her blog and check out all she has to offer. Her digi's are only $1.00 and they are so fun to work with. 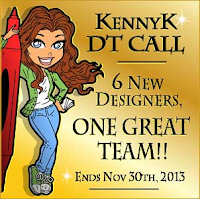 In honor of this special occasion, I created a special card to Celebrate my joining of design team. Happy Wednesday! We are mid way through the week, only two more days to go until the weekend! Hang in there. I wanted to share with you my latest card, along with my photo inspiration. While I only have one son, I am a mother to three. Yes I have two Dachshunds and I love them like they were my kids. They are the sweetest and most annoying little dogs. I say annoying, as they truly think they are human. We found CJ last night tucked into my sons bed with his head on the pillow. He did this himself. And boy do they have attitude when you put them outside for a while. They just don't understand why they have to be locked up outside when the rest of the family is inside. My neighbor bred both of these cuties..She has five Dachsunds, and yes she calls herself "Grandma" to these little pups. She has been "hounding" me to make some Dachshund cards, so I thought I would surprise her. Good morning! Hope everyone had a great weekend, I know I did. I officially started my Christmas shopping. Every year I say that I am going to start early and get all my shopping finished so I can enjoy the few weeks before Christmas. This is the time I like to bake and just enjoy time with the family. So with one present down, perhaps I will actually meet that goal this year. I wanted to share with you my latest card. I just LOVE this little girl. Her name is "Maddie" and she is from the Lacy Sunshine Collection. Her friend "Clover" has accompanied her on her shopping trip in style by sitting on top of her head. The look on her face is classic. Kinda looks like me after I have done a full day of shopping. But She certainly has the right idea and appears to have completed most of her shopping! 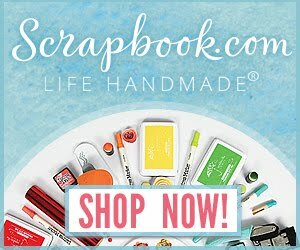 Good morning Card makers! It is time for Suzy Bee's 3rd Challenge. 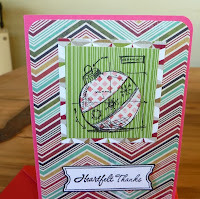 This week the theme is Shaped Cards sponsored by Eureka stamps. 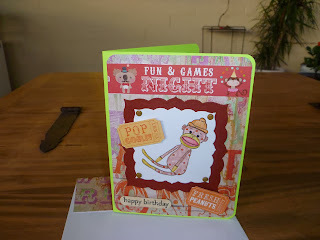 The image is entitled: "Best Friends"
I used my Big Shot to cut out the shape of this card with my Labels die cuts. I matted the image in purple card stock and layered it on top of a paper doily. I stamped out the sentiment "Friends" and added ribbons and gems. "My girlfriends are the sisters I picked out for myself". I saw this saying somewhere and thought it would be perfect for this Friend card. Hopefully I have inspired you to buzz on over to Suzy Bee's Bloomin Challenge with your creation. Can't wait to see it. It is common practice that thank you cards are sent out for wedding and shower gifts. The bride will typically recruit a guest to document gifts as they are opened to capture who the gift was from. So why do we not practice this same etiquette at Christmas? Are we so excited and overwhelmed on Christmas morning that we forget our manners? As a child, we always wrote thank you notes after Christmas, and I have carried on this tradition with my son. This was not my most favorite thing to do after Christmas, and it is not for my son either. As he gets older, he doesn't understand why he can't just text or email his Thank You's, but I have always felt the written card has much more meaning. 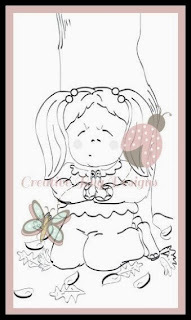 This little cutie is an image from Lacy Sunshine called Angel Boo. The moment I saw this image I knew what caption I would use. she just looks so innocent, makes you wonder what she has been up to. I have been working with Digi Stamps for almost 2 months now. I am still using Artist's Loft Colored Pencils and blending with baby oil and Blending Stumps. This was a technique I found on You Tube. I plan on getting some Gamsol Mineral Spirits blending solution and trying that out. Here is a video on You Tube showing how to use the baby oil for blending. If you are new to this technique and not sure if you want to go down this path, this is a good, inexpensive place to start. But I warn you, it is addicting. Our Scavenger Hunt theme this week is Veterans. Being that it was Veterans Day yesterday, this seems appropriate. I, like most people have had family members in the military. 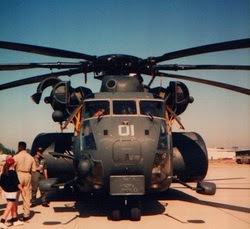 My Dad and Uncle were both in the Navy and I have another Uncle in Colorado that was in the Air Force. But do we really know how Veterans Day began? I do now. Many people believe that Veterans Day is the day America honors military people who have died serving their country, but this is not the case. Veterans Day was established to honor ALL American Veterans, both living and dead. It is a day that America says thank you for all the sacrifices they have made in their lives to keep our country free. Hope everyone had a great weekend. I had a big order come over through my Etsy shop, so I was making and packing Christmas cards all weekend. Thanks to everyone who participated in my drawing. I had hoped to get more entries, but this makes it that much better for the 7 that did participate. And now, without further ado...the random pick was number 7 - Robyn L. Congratulations to Robyn - please email me with your contact information. Your December calender and set of 4 Christmas Cards will be mailed out by Wednesday! Thanks again for playing. This post will stay at the top until November 9th. Please scroll down for newer posts. Hello all. You may not know, but I am fairly new to the blogging community. I started this blog on July 31st. My very first post was entitled Are greeting cards an endangered species. Well by the amount of card makers I have run across, I would say not. I thought this blog would be a fun way to share ideas and new techniques as well as showcase some of the cards through card challenges...while making a few friends along the way. Is Thanksgiving the forgotten card holiday?